Coolpix P7000 P7100 P7700 P7800. Df D3100 D3200 D3300 D5100 D5200 D5200 D5300 D5500. 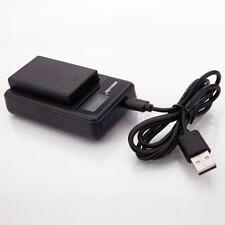 Compatible with Nikon Battery capacity: 3.7V / 1200mAh. 1x Micro USB Cable. Golocal24-7 specialise in providing accessories and repair parts for a wide, and high quality, range of gadgets. FUJIFILM: X-PRO2, X-E2S, X10, X20, X30, X100T, X100, X100S, X-E1, X-E2, XPRO-1, STX-2, X-T10. Concave design for extra comfort. Universal tapered thread for all traditional style shutter release sockets. 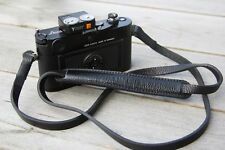 Strap is about 115mm long and 12mm wide. Strap length: 70cm. Strap width: 2cm. Material: high quality nylon, PU and ribbon. Nikon D300, D300s, D5000, D7100, D7200. You can even view it with your glasses on. DK-23 Rubber Eyepiece for Nikon. Compatible with. Protection Pads. Natural Leather. Very Strong. Colour: black. Strap Size approx. : Total length: About 137cm; Middle strap length: About 68cm; Strap width: 3.8cm. Materials: Nylon, PU leather. Compatible with Weight: 40g. Nikon Coolpix S4300. Nikon Coolpix S3300. Nikon Coolpix S4100. Nikon Coolpix S2500. Nikon Coolpix S100. Nikon Coolpix. Nikon Coolpix S2550. Nikon CoolPix S2600. Adjustable features for preferred positioning. Colour: stripy / multi-coloured. Strap: approx. 76 cm (L) x 3.8 cm (W); with adjustable ends - 1cm wide. Materials: Cloth and Yarn/ Brown PU Leather. Strap Size approx. : Total length: About 137cm; Middle strap length: About 68cm; Strap width: 3.8cm. Materials: Nylon, PU leather. Weight: 40g. Leica: M1, M2, M3, M6, M7, M8, M9, M-E, M-P, M9-P, M-A, M-Monochrom M Type 240. Concave design for extra comfort. Universal tapered thread for all traditional style shutter release sockets. Nikon: Df, M2, F3. D800e, D800, D700 Df, D4s, D4. DK-190 Eyecup Eyepiece for Nikon DSLR. Protects Viewfinder from Dirt and Debris. D3, D3X, D3S, D2, D2X, D2Xs, D2H, D2Hs. Material: Rubber. DSLR with Lens. The neoprene pouch is waterproof and the colours can be reversed so that you can have it in black or grey. 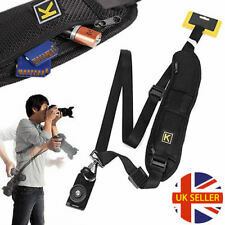 It is quick and easy to remove for shooting and is small enough to be carried until you want to use it again. 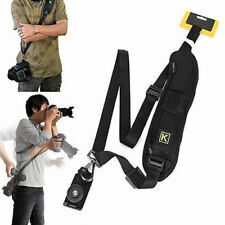 For NIKON: D100 D200 D300 D90 D80 D70S D70 D7000 D50 D600 D750. 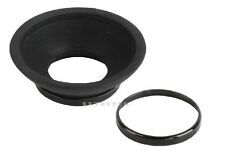 For a more comfortable fit, replace the original one with this rubber eyecup. 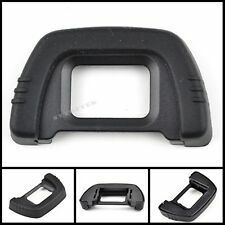 1 x Eyecup for Nikon. Attaches to the viewfinder eyepiece minimizing extraneous light and vision fatigue. United Kingdom Rest of World Top Quality and Value. Nikon Df, D4, D4s, D3, D3s, D3x, D700, D800, D800E, D810, D810A, F6, F5, F4, F3HP, D5, D500 Sport, D850. Less stray light enters the viewfinder and a less flared, clearer image with which to compose your shot is provided. Materials:Soft fabric. Also designed with adjustable buckles for the perfect length. 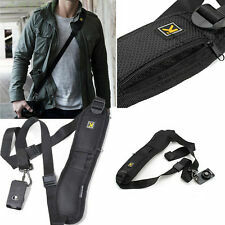 Compatible with Lanyard: 30cm (L) x 1cm (W). Size approx. 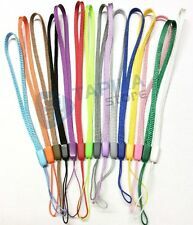 : 138 (L) x 4cm (W) with adjustable ends - 1cm wide. Made from strong 6mm red marine rope/cord, with black thread. COOLPIX: A, P900, P7000, P7100, P7700, P7800. Infrared cannot be seen by human eyes. Nikon 1-series mirrorless: J1, J2, V1, V2, V3. Use this shutter release to picture yourself and you along with your family or friends. Sync Transfer Data from your Device to PC/Laptop. Strap: approx. 63 cm (L) x 3.8-4 cm (W); with adjustable ends - 1cm wide. 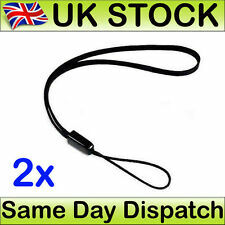 Compatible with Lanyard: 30 cm (L) x 1 cm (W). 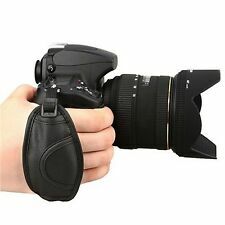 for Nikon D50 Wirless Remote Shutter Control SH ML-L3 IR + 52mm UV Lens Filter!